Washington, DC (May 16th, 2017) — WDG, a Washington, DC-based digital agency, has partnered with Truesdell Education Campus to donate much needed art supplies as part of their nonprofit initiative, GiveBack DC. WDG has been directing GiveBack DC, a nonprofit initiative serving local organizations in need, for over 5 years. In that time, they have donated over $500,000 in services through major events and fundraisers. 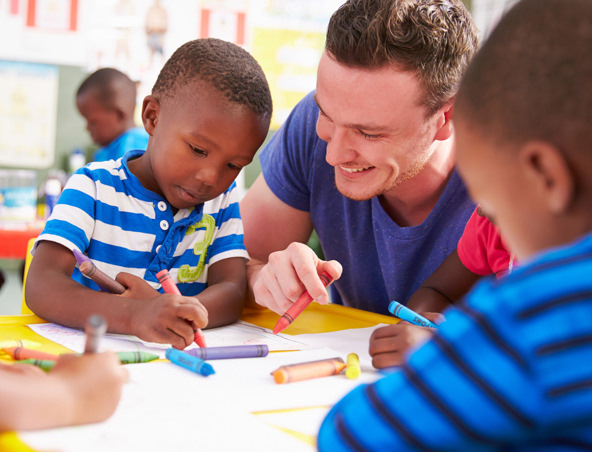 This year, WDG’s Summer initiative focuses on gathering art supplies for Truesdell Education Campus’ severely underfunded and understaffed Art Department in NW Washington, D.C.
WDG’s GiveBack DC initiatives have been a local tradition since the company’s inception. Ab Emam, Founder of WDG, explains GiveBack DC grew out of a desire to “do something significant for those who supported us in the early stages of our company by making a continual and lasting impact on our community.” By adopting a separate mini-initiative each quarter, WDG hopes to build up continual impact across the D.C. metro area. Truesdell recently lost their primary Art teacher and has limited district funding, resulting in a loss of necessary supplies for their Art department. WDG is proud to support art education as part of an integrated curriculum for the continued success of Truesdell students. The initiative begins online this month and donation opportunities will be open for the duration of Spring and early Summer. An Amazon Wish List of needed supplies has been created for a simple, one-click donation process. All supplies will be delivered to WDG’s Alexandria headquarters and donors will receive receipts online for tax purposes. WDG will gather supplies this month and deliver the supplies collectively to Truesdell at the end of the initiative. For more information, please visit: www.givbackdc.org. WDG is a full service creative agency located in Alexandria, VA. Find out more at www.wdgdc.com.